The student attends the Spanish school the same way Spanish students do. In this programme the student does not take just Spanish lessons, but Maths, History,... in Spanish from Monday to Friday. It is a very intensive programme in which the student, aside from living with a Spanish host family, spends 5-6 hours every day at a Spanish secondary school, learning new vocabulary related to every school subject. This way he/she is experiencing new friendships as well as being introduced to the most characteristic features of the Spanish culture and life, allowing him/her to gain greater experience about the global world. LAI colaborates with nearly 60 Secondary Schools in Madrid (Spain). The school will be confirmed at the end of June 2019, when the admission process for the local Spanish students has finished. From 2 to 41 weeks (the full Spanish Academic Year). For Secondary School years only. In a host family, full-board accomodation (breakfast, packed lunch and dinner) in a shared bedroom (single bedroom for 12 weeks stays or longer). The student will be the only anglophone in the spanish house. 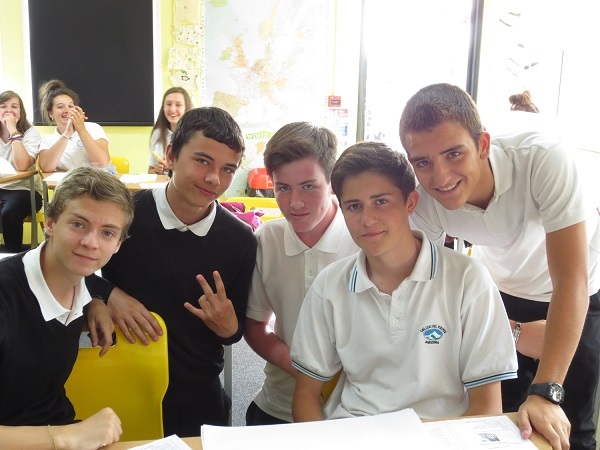 The student will attend a Secondary Spanish School the same way local students do. Full immersion in a Spanish school, attending lessons as a native student. Full-board accomodation in a host family (breakfast, packed lunch and dinner) in a shared or single bedroom. Transfers from Madrid's airport to the families and backwards. School clothes lending. Clothes will be returned at the end of their stay. This does not include coats, shoes or sport gear (basic clothing required will be notified in advance and it may differ depending on the school). Activities and excursions during the first weekends (Saturday or Sunday). Public transport in Madrid if necessary.